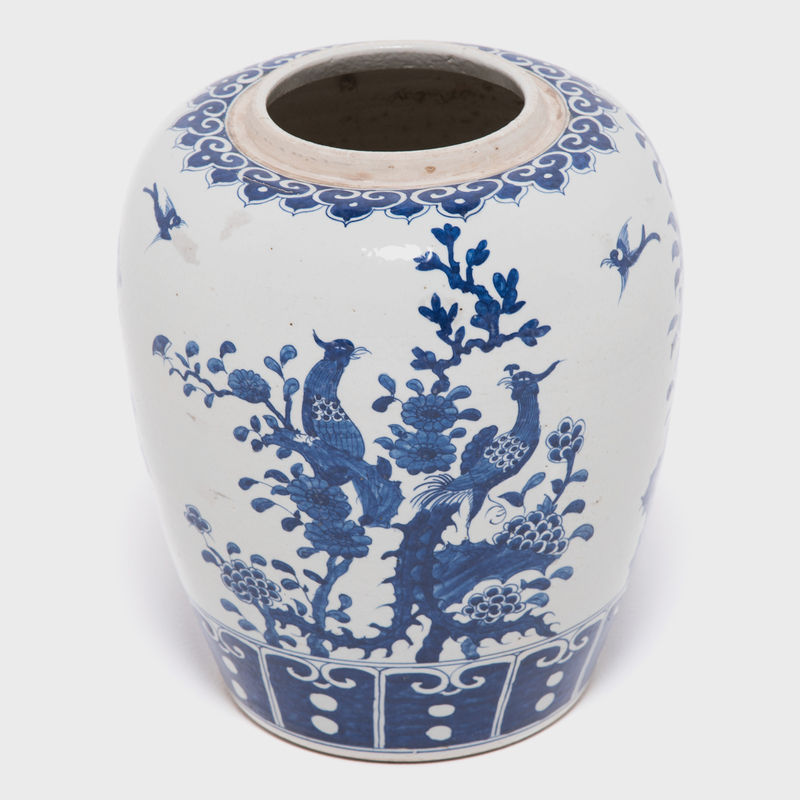 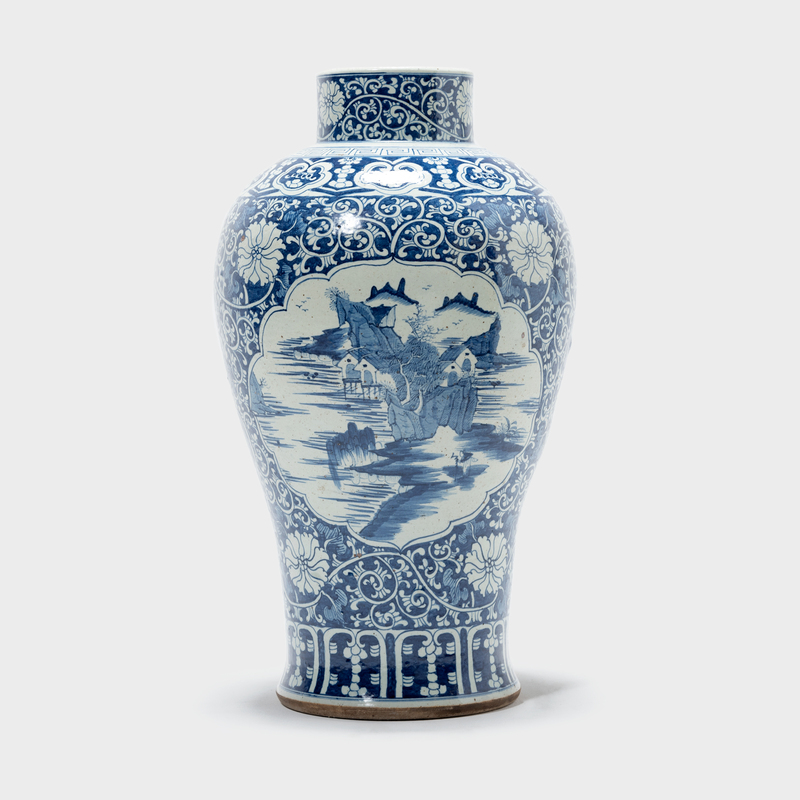 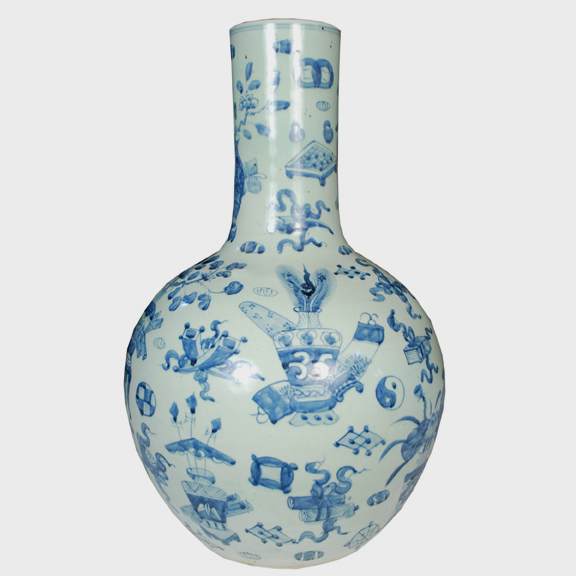 This blue and white baluster jar was made in the Jiangxi region of China. 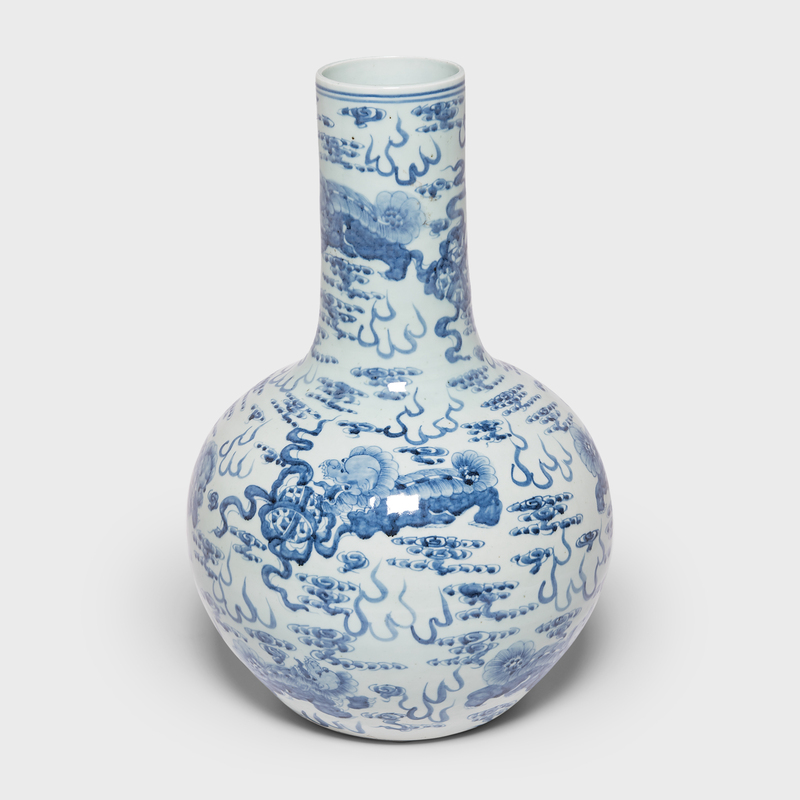 The landscape scenes hand painted by feathery brushstrokes are richly evocative and bring to mind ancient China. 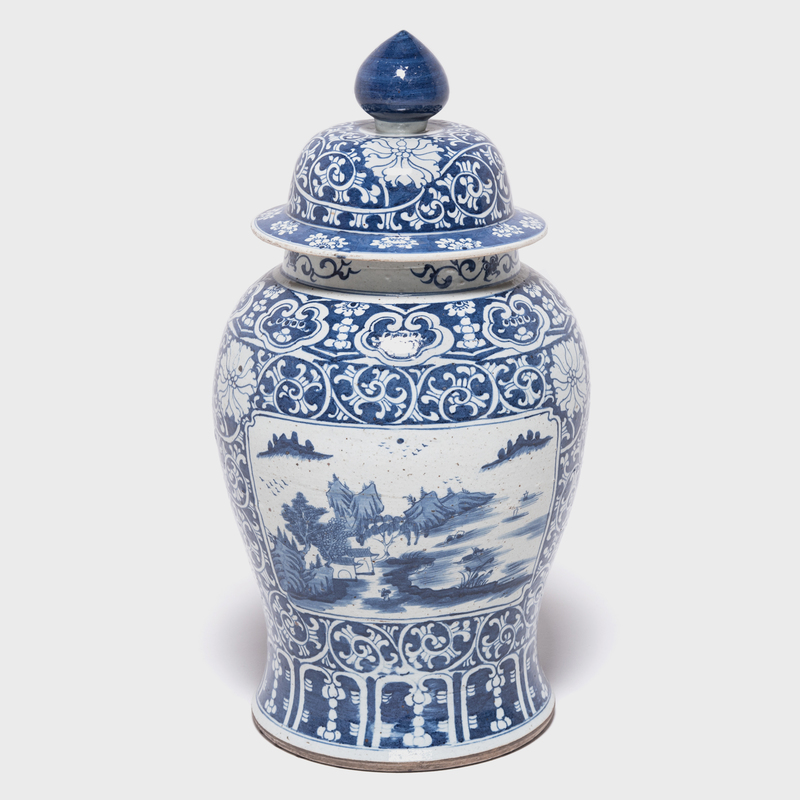 Jars of this shape were popular with noblemen who sent them to friends during the Chinese New Year filled with sweetmeats—the jars were then returned filled with new delicacies as a thank you to the well wisher.